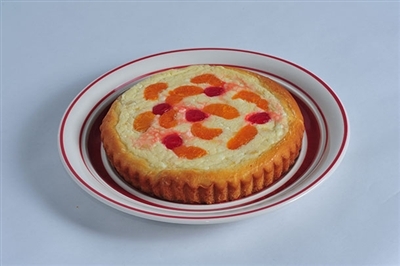 A creamy custard mixed with crushed pineapple and cottage cheese topped with mandarin orange slices and marasehino cherrys. A cute unique kuchen if you like pineapple and it looks like a salad. Kids like this one. A grandsons favorite.